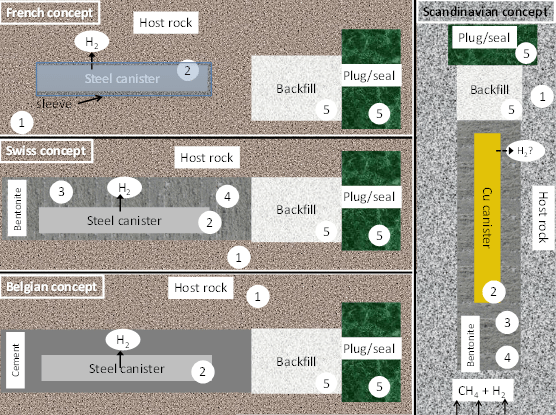 High-level radioactive waste, mostly spent fuel and waste from re-processed fuel, will be encapsulated in iron or copper canisters (See figure). In some concepts, so-called super containers will have a concrete barrier encapsulating iron shells that contain the waste. The canisters will either be surrounded by an engineered barrier consisting of swelling clay, or, they will be emplaced directly in the host rock. The metal and the clay barriers are commonly denoted engineered barrier systems (EBS) and are susceptible to deterioration processes. Possible microbial deterioration processes for the safety case are (a) metal corrosion, (b) illitization of smectite clay minerals such as montmorillonite and nontronite, and (c) degradation of concrete. 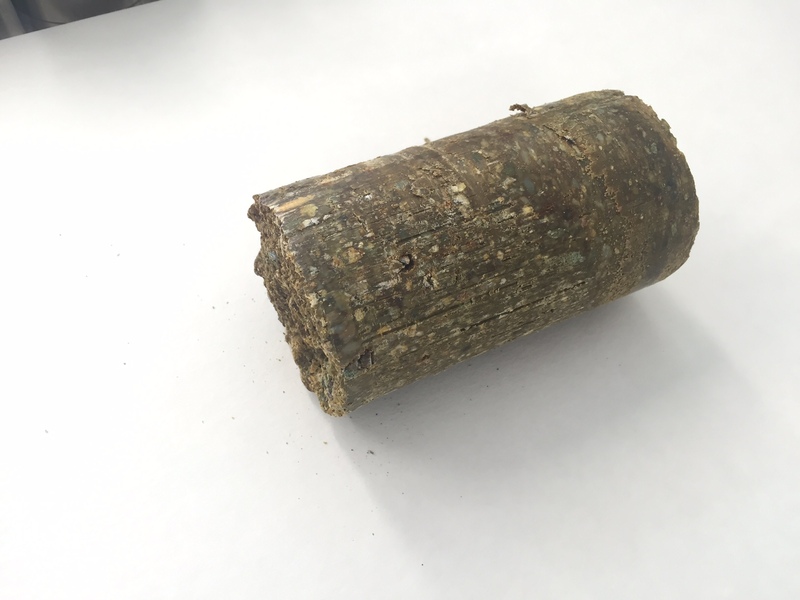 Corrosion will eventually cause the canister to breach, leading to radionuclide release; illitization will compromise the clay buffer’s swelling properties, reducing its barrier function; concrete degradation may prematurely destabilize plugs and seal system. Microbial activity could impact the rate of each of these barrier systems and thus impact the safety case by compromising a repository’s isolation and containment functions. This work package aims at addressing these issues individually and providing actionable information to the implementers in order to improve their safety case. Characterize the impact of microbial activity on the long-term performance of bentonites and seals and plug systems in European geological disposal. Gain systematic information on the effectiveness of specific bentonite buffers and their properties (density, pH) in inhibiting microbial activity. Representation of European high level waste disposal concepts (not to scale). Microbial processes are possible at the numbered points, which correspond to task numbers. 1. Microbial generation of sulphide in the geosphere. 2. Microbially induced corrosion of canisters. 3. Microbial activity in bentonite buffer. 4. Microbial degradation of bentonite buffer. 5. microbial activity in backfill and plug/seals. The presence and activity of sulphide producing bacteria in host rock groundwater and clays/shale is well documented. The sulphide they produce is not expected to reach the canisters because of slow diffusion through compacted bentonite buffers and the very low diffusion rate of sulphide in concrete. However, in the case of a failing clay buffer, e.g. due to erosion, or cracks in a concrete shell, sulphide will have a larger probability to contact with canisters and generate pitting corrosion. It is, therefore, important to understand what conditions foster sulphide production in the geosphere (often called the far-field) and its migration towards canisters. While the presence, numbers and diversity of sulphide producing bacteria have been well documented, their activity is less well studied. A remaining key issue for the safety case is to identify the factors controlling sulphide production in the geosphere, including man-made artefacts. Availability of electron donors, such as the H2 and CH4 from deep geological sources, is hypothesized to be one of several controlling factors. 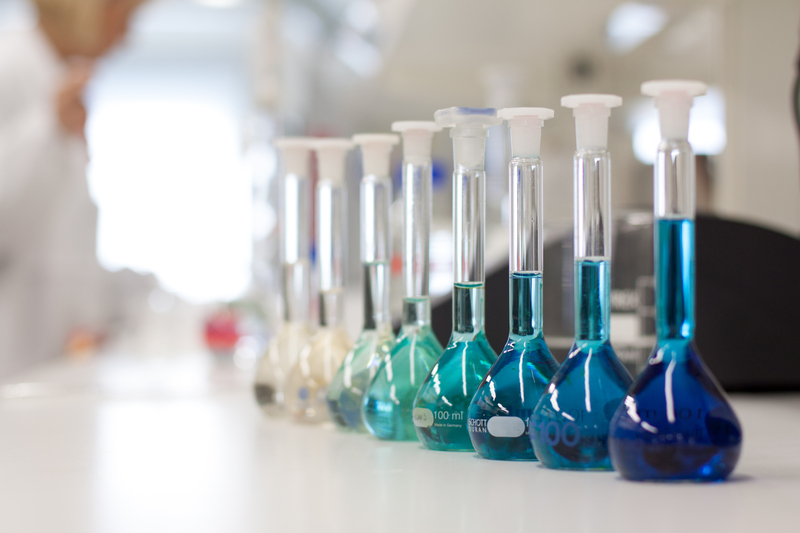 A series of increasing sulphide standard concentrations for calibration of a method for sulphide analysis. Steel canisters will corrode under anaerobic, wet conditions, generating large amount of H2. Many microorganisms use H2 efficiently as an electron donor, among others for sulphide and acetate production. 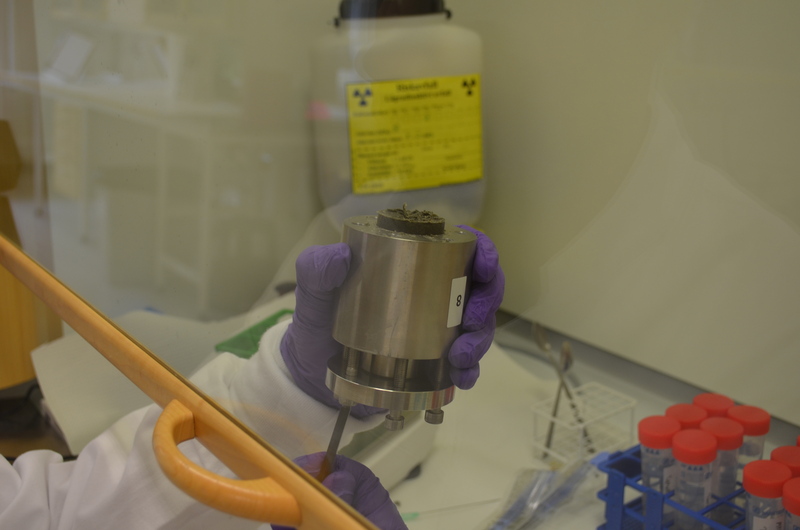 Hydrogen scavenging by microbes is believed to accelerate anaerobic corrosion of iron and sulphide, the product of microbial sulphate reduction, is corrosive for both iron and copper. Furthermore, copper is sensitive to acetate that may generate stress cracking. A remaining key issue is, therefore, to understand to what extent microorganisms can accelerate canister corrosion in the near-field either by hydrogen scavenging or by sulphide and/or acetate production. This issue is closely linked with the next task pertaining to the relationship between buffer and clay conditions and microbial activity. 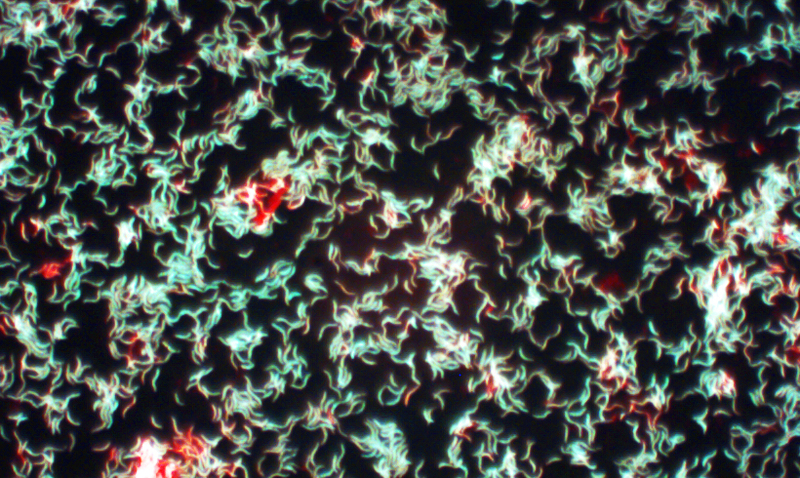 Microscopy image of sulphate-reducing bacteria isolated from deep groundwater. Previous laboratory and full-scale experiments considering microbial survival in compacted bentonite have found that microbial activity is correlated with bentonite density and its resulting water activity. It is expected that the inhibitory effect observed at higher densities is due to the space limitations resulting from higher swelling pressures. Individual commercial bentonites have been shown to display varying effectiveness in mitigating microbial activity at similar densities. This variability may be due to sulphate or organic matter content in the bentonites or it may be due to intrinsic differences in the swelling pressures obtained. It has been shown repeatedly that commercial bentonites contain large numbers of cultivable microorganisms including iron-reducing and sulphide-producing bacteria. An important remaining key issue is to identify conditions (including buffer density) under which relevant bentonites inhibit microbial activity. Because of the risk for loss of density and swelling capacity due to buffer erosion and illitization, a key issue is to document the lower limit for microbial activity in bentonite buffer and host clays. ric iron in nontronite to ferrous iron, thereby destroying the swelling properties of such clays. The presence of similar processes, i.e. microbial mineralogical alterations of bentonite is not well investigated. Attack of iron-reducing bacteria on the ferric iron component of bentonite buffers is expected to reduce the swelling capacity of the clay and thereby to open up for microbial activity inside the buffer, to increase diffusion of sulphide and possibly allow the discharge of radionuclides. A remaining key issue is to understand whether microorganisms can accelerate degradation of bentonite based buffers. A clay sample from the FEBEX experiment in Grimsel, Switzerland. 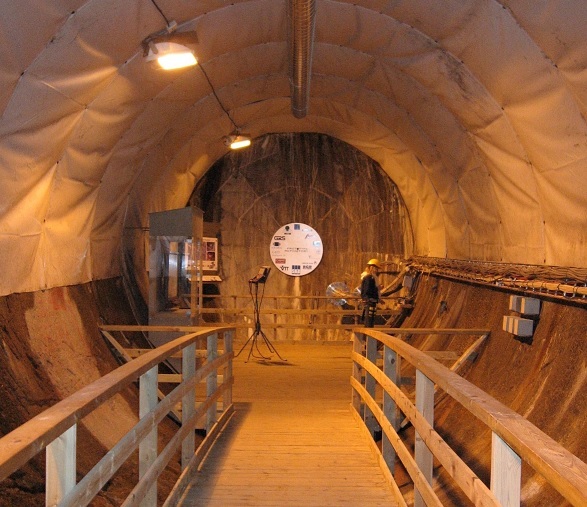 The backfill of many repositories will consist of bentonite and crushed rock in various combinations. They will constitute a large source of electron acceptor and donors that can be utilized by microorganisms. Microbial activity in such compositions of backfill is not well studied but is expected to be of importance for the integrity of plugs and seals. Microorganisms are often active at interfaces and may therefore be active at the interfaces between cement plugs and seals and backfill. A remaining key issue is consequently how microbial activity in backfill will influence the long-term behaviour of plug systems and seals. Within different disposal concepts, cementitious materials can be an essential part of the plug and seal systems. The integrity of the cementitious materials should therefore be ensured over a long period of time. Microbial activity, although expected to be inhibited by high pH, might affect the performance of cement on the long term, mostly by either (i) the production of biogenic acids, thereby lowering pH and/or enhancing calcium leaching (a detrimental effect), (ii) the enhancement of carbonation, thereby clogging the cement pores (a desirable effect) or (iii) minor processes, like biologically induced sulphate release, triggering the production of the voluminous ettringite (also detrimental).